YouTube has launched a cool new feature called YouTube Leanback. Leanback automatically plays videos in full-screen mode and in a continuous manner. It automatically plays a stream of high-definition videos catered to your account settings. You can just lean back and watch all of them, without doing anything much! This feature would definitely encourage users to watch these videos from their living room in full-screen mode. Once you have completed watching one video, the next one begins automatically. To use this feature, when you watch videos, you have to select a category and control the menu using the arrow keys. If you press the ‘Up’ arrow key, you will see a “Search Bar”. When you press the ‘Down’ arrow key, you will be able to control the player. 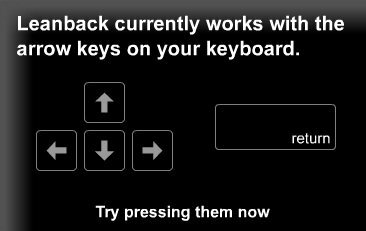 If you want to play a video, press the Enter key. The Leanback Player has got all the normal media player keys. There are many categories available. Make your selection and enjoy watching the videos. If you are interested in trying this out, head over to Leanback. Incidentally, YouTube has also launched a new site for mobile YouTube users. You can learn more about this, by viewing this video here !